We had a small bushfire (wildfire) which was ignited by lightning during a storm. It was a cool and drizzly day so, thankfully, the fire didn’t get too wild (we have a lot of woodland). 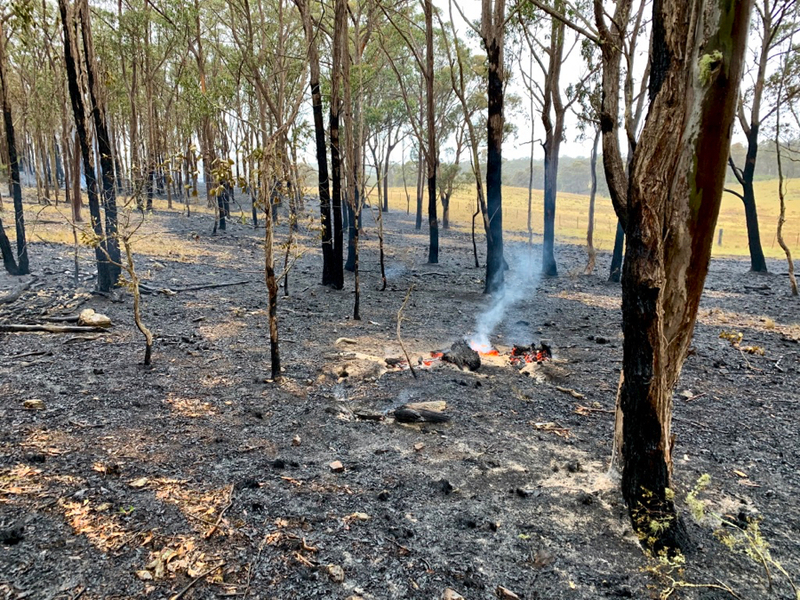 Some unknown person saw smoke and reported the fire to the Rural Fire Service (RFS) who attended and ensured the fire wasn’t going to spread too far. The first I knew of it was when the RFS came up to the house some hours later to tell me about it.